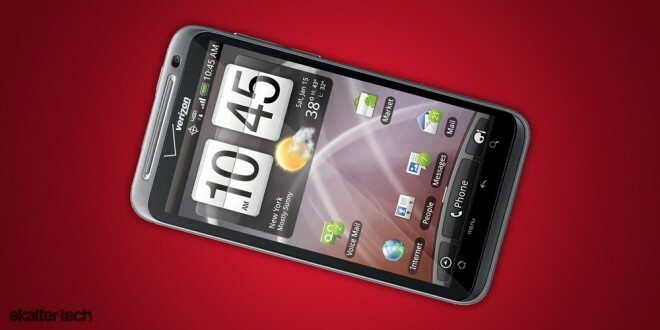 The HTC Thunderbolt makes a big splash for Verizon Wireless customers as it is the carrier’s first 4G LTE smart phone. This device sports a large 4.3 inch display, a front facing camera for video calls, a 8 megapixel camera for 720p video capture, a kick stand for enjoying movies, an integrated mobile hotspot, and much more. In addition, users will have access to thousands of Android Marketplace apps and the latest version of HTC Sense brings many enhancements. 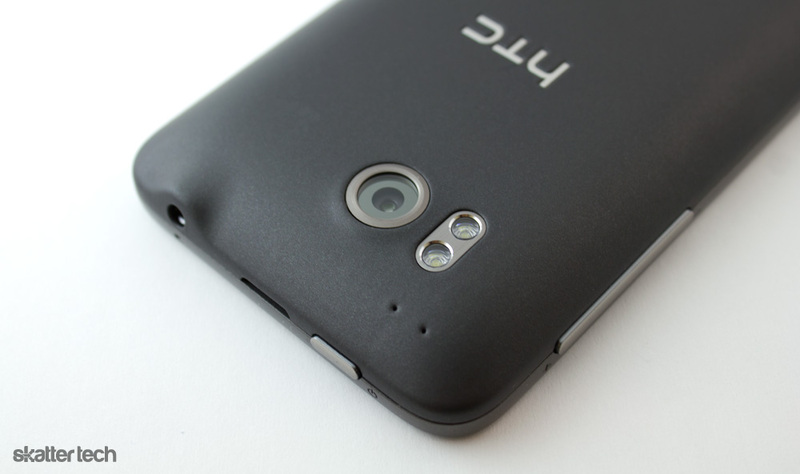 While the HTC Thunderbolt is not nearly as revolutionary as the original year-old HTC EVO 4G, it does built upon existing hardware with hundreds of refinements and plenty of polish. When it comes to super sized smart phones, users can only hope for a slim chassis. The Thunderbolt is about 0.6 inches thick, 4.8 inches tall, and 2.5 inches wide — it weighs in at 6.2 ounces. This unfortunately make the Thunderbolt a hairline heavier, taller, and thicker than the older EVO 4G, which is slightly disappointing. With that being said, it does sport a cleaner streamlined design. The dark grey rubberized matte finish wards off fingerprints and offers a great grip. Branding for Verizon Wireless, HTC, and Google feature silver outlines while the kickstand, camera bezel, earpiece, and volume controls have a chrome trim for contrast. Once someone picks up this phone for the first time, they will immediately appreciate the premium build quality. It may not have an industrial aluminum and glass body like Apple products, but the Thunderbolt still screams expensive. I was hoping for a uni-body design, but I was glad to find little to no flex with the plastic framework. HTC definitely stepped up its game since last year. 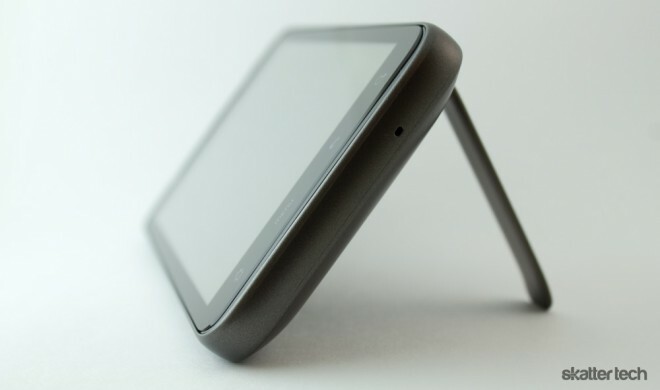 While the kickstand on the HTC EVO was great for enjoying movies, it was flimsy and the phone would fall over easily. The newly redesigned kickstand keeps the HTC Thunderbolt standing strong. It can even hold the phone up right in a portrait orientation and will not tip over when using the touch screen. I was also glad to find that the rear-facing camera is now flush with the back side and does not protrude outwards. Aside from that, I should note that some owners may have a hard time sliding this phone into a pair of tight jeans, but it can tuck away into most bags, pockets, or purses easily. The latest generation of smart phones — such as the Motorola Atrix — might be taking a leap to dual-core processors, but the HTC Thunderbolt only packs a 1 GHz Qualcomm Snapdragon. With 768 MB of RAM, there is plenty of room for multitasking. This phone does not back down when it comes to storage either, it packs 8 GB of internal storage and ships with a 32 GB micro SD card. 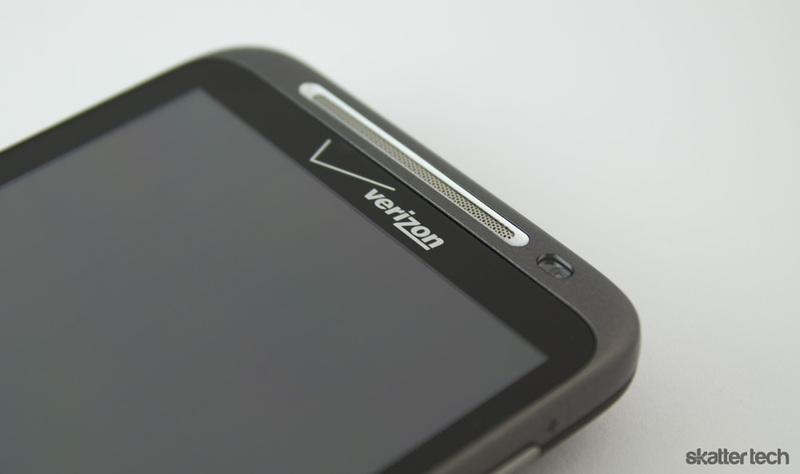 Although marketed as a 4G LTE handset, it is entirely compatible with Verizon Wireless 3G networks as well. Users can always connect to local WiFi 802.11 b/g/n networks and pair up with Bluetooth enabled devices. The Thunderbolt has an accelerometer to detect rotation, proximity sensor to prevent accidental key presses, and an ambient light sensor to conserve power. The digital compass and GPS module provide location for navigation too. A front facing camera and an ear piece are above the 4.3 inch display while four touch sensitive keys are directly below: home, menu, back, and search. A volume rocker is on the upper right side and a 3.5 mm stereo headphone jack is on top. The power button, also on top, is tad bit too small for such a large phone, but it is responsive and gets the job done. The positioning of the micro USB port, found on the lower left side, can get annoying since it is no longer possible to use the kickstand in a landscape orientation while charging. HTC also dropped the micro HDMI port in exchange for DLNA connectivity. The camera and a complementary dual LED flash are on the back. On that note, prying the rear door open reveals a 1400 mAh battery pack underneath. Sadly, users will need to power down the Thunderbolt and pop out the battery to get to the microSD card. A great looking screen is quite important since it is what you will be looking at all day. While newer Android smart phones are taking the jump to the qHD resolution including the upcoming EVO 3D, the Thunderbolt still uses a last-generation 480-by-800 pixel WVGA display. Colors are a lot more saturated compared to the HTC EVO, which looks washed out in comparison. Blacks are darker and whites have a “cooler” tone. Viewing angles are a lot more generous allowing more freedom. The Thunderbolt’s screen is quite responsive, but not nearly as fluid as the HTC Arrive we recently reviewed. The ambient light sensor pumps up the brightness to combat direct sunlight, however a Super AMOLED display would have done a better job. Most of these improvements are quite minor and it is clear that users will need to turn towards the upcoming HTC Sensation for higher pixel density. 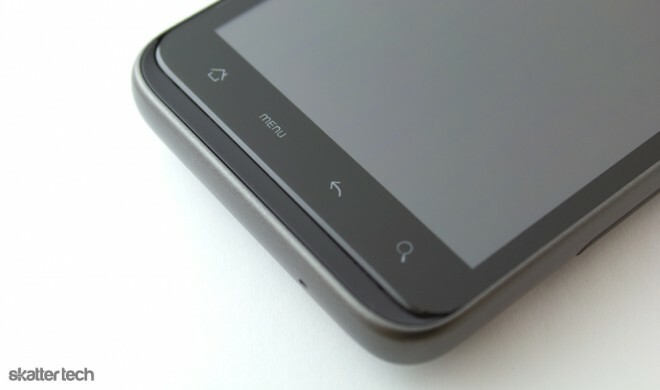 The EVO 4G lacks a multi-touch enabled keyboard forcing users to turn to 3rd party alternatives. HTC comes to the rescue with an improved version letting users type faster than before. There is little to no lag and the Thunderbolt even offers audible and haptic feedback. Instant predictive suggestions make it easy to skip over large words and the custom dictionary accommodates additional phrases. I was not too happy to find that Swype no longer comes pre-installed, but geeky users can grab and install a copy manually. Google’s voice input technology comes bundled with Android for text entry and works quite well. It automatically adapts to your voice without any programming. A microphone button appears on the keyboard and is compatible with just about any text entry field. Although Google rolled out Android 2.3 (Gingerbread) a few months ago, the Thunderbolt still runs on Android 2.2 (Froyo). Until that update becomes available, users can at least enjoy the new and improved HTC Sense. The custom interface overlay now features smoother animations and transitions when browsing through various pages or switching apps. General operations are not necessarily any faster, but the experience is more polished. Fonts are crisp and sharper for easier reading too. I noticed that the flagship drag down notifications bar now includes an app switcher which can make multitasking easier for new users, but it also replicates the functionally of holding down the home button and I wish there was an option to turn that off as an advance user. I was even pleasantly surprised to see an innovative tab switching interface present in the web browser. Previously, users had to hit menu to bring up a list of open windows. It requires multiple clicks, which is a hassle. Users can now simply squeeze a web page until it shrinks into a thumbnail and swipe to get to other pages. Social networking integration is also a prominent HTC Sense feature. Users can log into Facebook, Flickr, and Twitter accounts from the system settings. These services import contact data including phone numbers and emails addresses into a universal list. A consolidated view makes it easy to view all your interactions with any specific contact including exchanged text messages, emails, status updates, photos, or call history from one place. Verizon Wireless worked with HTC to include a pre-installed multi-protocol chat client for AIM, Windows Live, and Yahoo! Messenger. HTC does not bundle any new live wallpapers, but there are five different high quality skins which deeply tweak every last inch of the Android interface. The new theme even modifies the look of third-party apps that use the native Android user interface elements, making for a consistent experience. HTC also includes about 70 gorgeous widgets out of the box and lets users download more official ones when available. There is a clear unparalleled level of attention to detail and no competing custom Android experience comes close to Sense UI. As with any Android device, Google integration is top-notch. Once you login, everything from your online calendar and email makes to your device within minutes. HTC even includes a custom app for Google Reader, a neat touch. There is full support for Voice Actions and Chrome to Phone. Customers will likely be upset to find a handful of nonremovable bloatware. Bitbop, Blockbuster, Rockband, Rapsody, TuneWiki, VCast Media, and VZ Navigator are pre-loaded just to name a few. The HTC Thunderbolt also ships with a Verizon Android App Store which does not seem to add any additional value. The interface looks outdated and looks like a ported iOS app. Most users will stick to the 200k apps in the official Android Marketplace. Even the new Amazon App Store is better. While Apple iOS only comes with document viewing capabilities, the HTC Thunderbolt comes with a full version of QuickOffice with editing support at no extra cost. Microsoft Office formats for Word, Excel, and PowerPoint are not a challenge. Sharing documents through email or sending documents to other apps such as Dropbox is quite easy. Adobe Reader ships with the phone for PDF viewing. The office document support is only dwarfed by Windows Phone 7. HTC has an app for POP3 and IMAP for those who do not use Gmail. Kindle also comes pre-installed. Verizon Wireless bundles a visual voicemail app too. 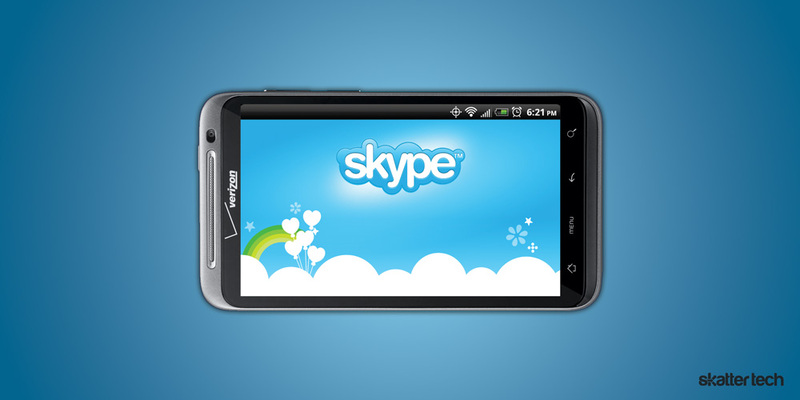 Fans of Google Voice can grab the official app from the Android Marketplace for additional calling and texting features. Google Navigator provides incredible voice-guided turn-by-turn directions. Paired with Voice Actions and an integrated contacts lists, going places is easier than ever. I can just say “Navigate to John Smith” and it begins routing quickly. Even speaking a door number, street name, city, and state is also impressively accurate. I have tried other Android smart phones such as the Samsung Epic 4G (Galaxy S) which comes with DLNA integration. Unfortunately, the app was quite buggy even after updates and it fails to playback many file formats. HTC Sense brings the best DLNA integration I have seen to date. It makes it possible to share content from your device to other ones and stream multimedia to your Thunderbolt from other compatible networked devices. There is excellent support for codecs and I managed to play just about every file format in my library including those encoded in DivX or Xvid. With a speedy WiFi 802.11 n network, even 720p HD content did not lag even the slightest amount. I also loved that I could enjoy my large music collection, which will not fit on my phone, while working around my house. For those that want to copy media over, the HTC Thunderbolt has a mass storage device mode. Once plugged in with the included USB cable, users can copy multimedia into pre-created folders from a Macintosh or Windows computer without any extra software. After disconnecting, the phone takes a few minutes to automatically index new content. Amazon MP3 is probably the best place to go for buying new music, but DRM-free iTunes tracks are also completely compatible. HTC’s music player offers album artwork and lets users filter a library by album, artist, genre, songs, or playlists. FM Radio works right out of the box, but owners will have to find a pair of headphones for signal since HTC does not provide a set in the box. Although this phone lacks stereo speakers, the SRS WOW sound enhancements truly make audio from videos and music sound a lot better. The new camera app offers a clean uncluttered interface with quick access to settings that matter the most. It is easy to toggle flash on, off, or set it to auto. One click brings up the gallery of previously captured images. Most owners will be glad to find that the camera app launches in about a second, but heavy photographers might scold the lack of a physical shutter key. HTC Sense also adds a sprinkle of Instagram inspiration with about ten great effects which render in real-time — vignette, depth of field, vintage, and sepia just to name a few. Some of these even carry over into the video recording app which handles 720p HD capture. Digital zoom is available on-screen at all times. It is also easy to share images with friends and family with access to multiple popular services just a click away. Other bonus features include a self timer, ISO settings, geo-tagging, auto-focus, and face detection. In terms of quality, pictures look a lot better than the HTC EVO. Video is also beyond impressive for a smart phone camera sensor. In low lighting conditions, the flash helps ease deteriorating quality. Verizon Wireless demoed Skype compatibility at CES 2011, but there is no mention of the app on the HTC Thunderbolt. We did demo a leaked version recently, but there is no official word regarding availability from any of the involved parties. My testing of the early build revealed impressive audio and video quality over both WiFi and 4G LTE which is at least a positive sign of things to come. It is a tragedy that no flagship video calling service ships with the phone despite the fact that there is a great 1.3 megapixel camera on the front. Until one becomes available, users can turn to services such as Tango, which supports calling iOS devices and tablets in addition to Android smart phones. I never had to switch over to 3G in the San Francisco Bay Area since I always had 4G connectivity. The phone dropped to 3G at times in the Orlando area when I was at CTIA Wireless 2011. The phone handles switching between networks for you and there is no easy to access setting. Geeks can dig into service menus to set a preference manually. I would not bother trying to tweak it unless you live on a border line of 4G and 3G connectivity which is killing your handsets battery life as it tries to secure a signal. An integrated mobile hotspot lets up to 8 users connect to your HTC Thunderbolt for either 4G or 3G mobile broadband. The settings panel lets users pick a network name (SSID) and bump up security to WPA2 for optimal protection. It is also easy to kick unauthorized users off your portable hotspot. Verizon Wireless kindly includes free hotspot use through mid-May 2011. Afterwards, the feature will run customers an additional $20 per 2 GB a month. Verizon Wireless claims about 6.3 hours of talk time and 330 hours of standby. While the former was about on par with my testing which revealed nearly 50% remaining battery after three hours of use in a day, the latter is a far-fetched claim. With WiFi enabled and accounts multiple accounts configured to sync data, the Thunderbolt will run out of battery in about 2 days. After a few days in use I found about a little over a day of run time with my type of usage which includes testing just about every feature including the camera, video calls, email, texting, DLNA streaming, and FM radio just to name a few. 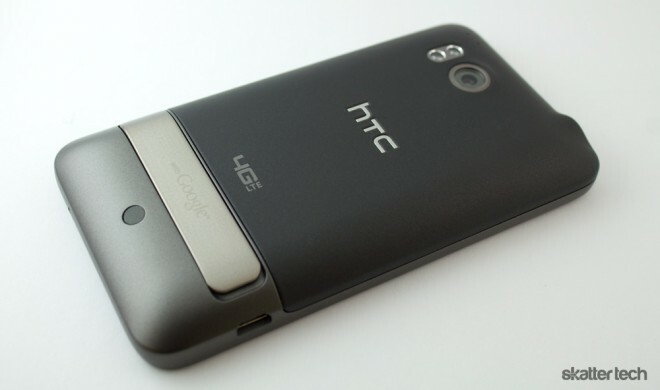 It is definitely an improvement over the HTC EVO 4G which was notorious for barely making through a single day. Keep in mind that using data and processor intensive apps such as the mobile hotspot or the navigator can drain the battery in as little as 2-3 hours. I would recommend keeping the charger on hand for those types of use. I would not worry too much about common tasks such as enjoying some music, watching a movie, or browsing the web. Here is the deal. 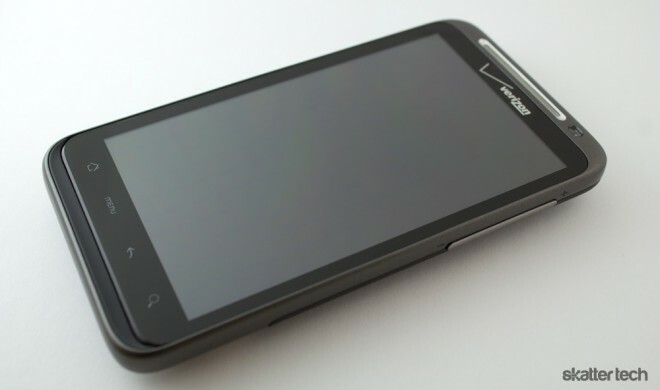 If you are a Verizon Wireless customer, the HTC Thunderbolt is the best smart phone that money can buy. With that being said, there is one major drawback. This phone will get outdated very quickly since it is essentially a refined version of a year-old model. If you are not some one who always needs to have the latest gadgetry, this phone will not disappoint. Updates such as Android 2.3 should trickle to this device in a matter of time, but you will not get the benefits of new technologies such as a dual-core processor or a high-resolution display. If you are ready to pull the trigger, this phone goes for $250 with a new year contract through Verizon Wireless. Existing customers looking to upgrade may receive a $50 or $100 discount depending on the prior calling plan. If you shop around, trust worthy authorized retailers offer it for as little as $175. As for monthly fees, customers will need to shell out at least $70 a month for just voice and data. Those that plan on receiving or sending text messages will need to pay extra. Battery life of barely FOUR hours if I don’t make or take any calls, texts, or emails! Verizon told me to turn-off ALL apps if I want longer battery life, or to keep it plugged-in! Let’s see. Buy the phone to get all of the latest features and capabilities. Then disable them if you want battery life. This is an absolute POS! Using a task killer? That is probably why. Mine is fine but my roomate also got one and it died every few hours. Could not believe that. So I looked at his phone did hard reset and wipe and tried again. Later realized he had task killer pro or something installed. It is fine now. Tests via the speedtest.net website give a more realistic upstream speed, less than 3 Mbps. Is this phone’s Bluetooth 2.1 or 3.0? It’s the older Bluetooth v2.1 + EDR. But according to the official specs sheet, it says “v3.0 when available.” I do not know if that means newer models will ship with the new Bluetooth module or whether a software upgrade can provide the upgrade. Good answer, as always, but i already knew this. In fact, I had the same questions that you now have and called both HTC and Verizon for clarification and, believe it or not, they did not know any more than you or me. That’s when I asked you. Is this phone’s Bluetooth 2.1 or 3.0? What does “when available” mean? Does “v3.0 when available.” mean Bluetooth v3.0 or Bluetooth v3.0 + HS? P.S. It seems like the contacts that provided you a phone to test would be an obvious reference source where you could ask these questions. Please ask it if you get a chance. Will you be reviewing the Charge? Yes, very soon. Have one in front of me right now. Cool stuff! Looking forward to it. I’m hoping to get it this weekend at Costco (good return policy just in case). I’m not very familiar with touchwiz 3.0, and it looks pretty inferior to Sense, but Touchwiz 4.0 on the galaxy s II looks pretty cool in both usability and graphics. other than that the battery life and screen seem to be huge pluses.. I forgot to add, assuming that Samsung will update the Charge with Touchwiz 4.0 at the right time….do they normally do that?